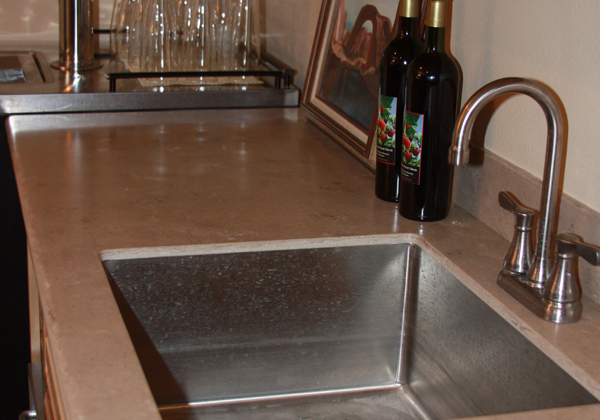 Tiny samples make it hard to visualize what the material will look like in your kitchen. See the materials up close and take home large samples. If you’re considering stone, visit the stone yard. 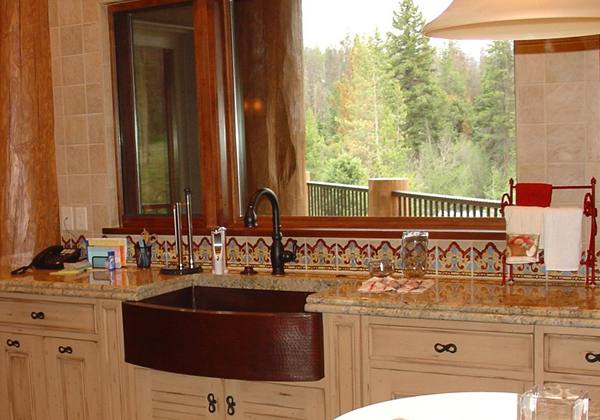 Natural stone’s color and veining can vary widely even within a slab, so when you find a slab you love, reserve it. 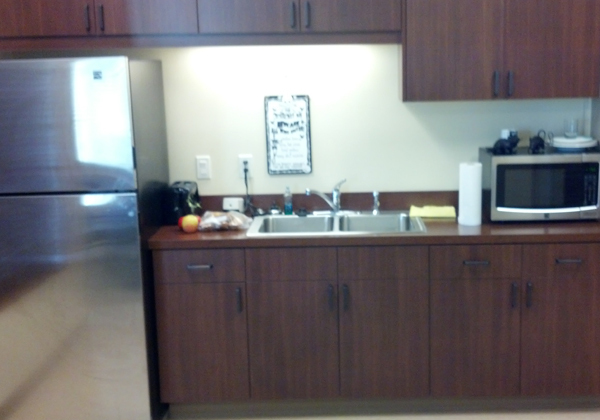 We can replace all of the cabinets in your kitchen, mudroom, vanity, or where ever you’d like to meet your needs. 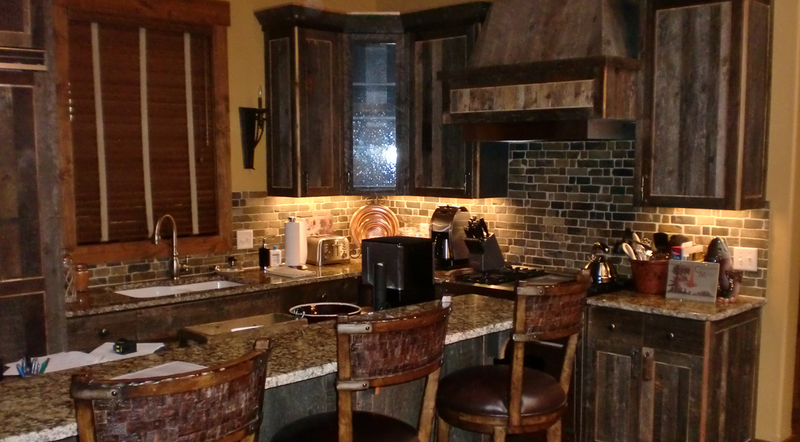 We can install manufactured cabinets or custom build them for you. 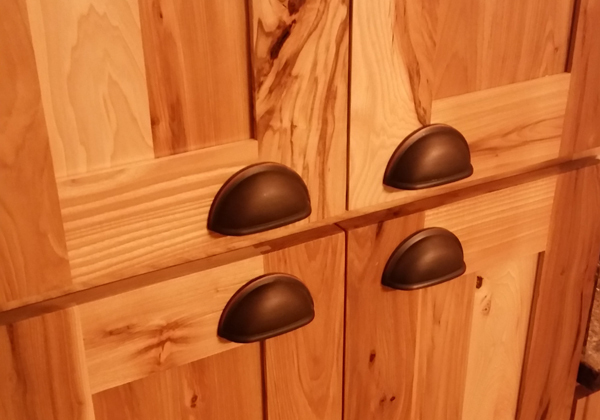 We can freshen your look by simply replacing the doors on your cabinets. Or maybe you’d like some new trim? We’ll meet your needs whatever they might be. 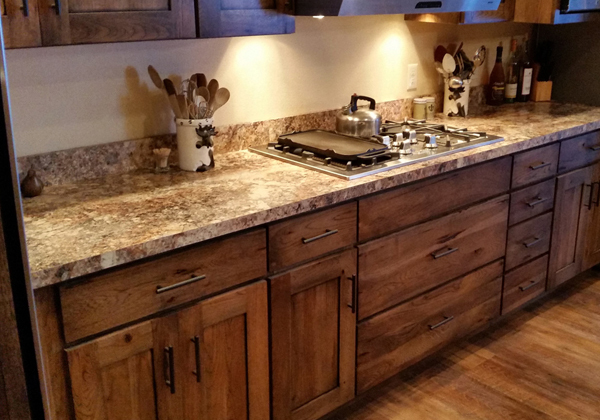 We carry an enticing blend of wood species and finishes to satisfy any design style. Mix wood species with distinctly different finishes, add architectural elements, ornately carved corbels, sculpted crown moldings, turned posts, beveled glass doors, or a contrasting island to create a unique and visually intriguing design. 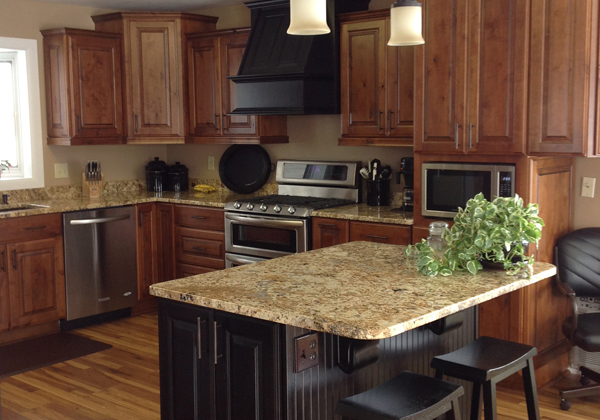 From our standard stock line to our semi-custom and full custom cabinet lines, we can install the cabinetry in the style and finishes you desire – and at a price that meets your budget. You have more choices of materials, colors, and patterns than ever. We will help you establish a budget that will meet your need for function and style. You’ll love the end result! 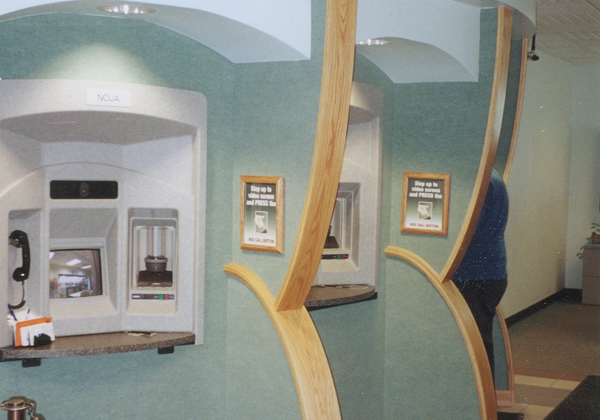 Along with material costs, take into account any fees for delivery and installation, as well as any custom details. Consider which surface you find appealing: the look, feel, texture and shades. Consider additional details, including thickness, overhang and edge options. You should love the end result. Because every household is different, you won’t find a one-size-fits-all material. 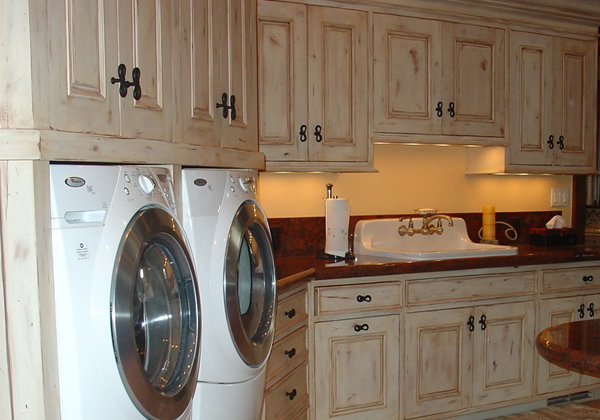 Rank the importance of factors such as durability, stain resistance and ease of maintenance.